When Hurricane Harvey smashed into southeast Texas with Category 4 intensity in late August 2017, it caused catastrophic flash flooding and damage. Thousands of residents were sent fleeing out of town, hoping to escape the wrath of the storm. Airports closed and flights grounded, but Coast Guard Lt. Ronaqua Russell and her colleagues out of Coast Guard Sector/Air Station Corpus Christi were already on their way into the sky. Amid tropical force winds and zero visibility, Russell’s Coast Guard HC-144 Ocean Sentry aircraft was the first in the sky following behind the Category 4 storm’s destructive track, according to the Coast Guard. Their mission was to deliver relief supplies and personnel in support of rescue and recovery efforts. Almost two years after, Russell, 28, has become one of eight Coast Guard pilots to be awarded the prestigious Coast Guard Air Medal for operating during the deadly hurricane. The award was presented February 21, this year, in Tuskegee, Alabama. Russell has, however, made history in the process: she is the first African-American woman in the service to ever receive the Air Medal. According to the Coast Guard, the Air Medal is awarded to its service members who distinguish themselves by heroic or meritorious achievement in flight. Russell defines it as a “surreal experience” and said she would continue to work assiduously towards the task ahead. Russell, who grew up in the Virgin Islands, is the daughter of Assistant Attorney General Aquannette Chinnery and former Sen. Ronald Russell. 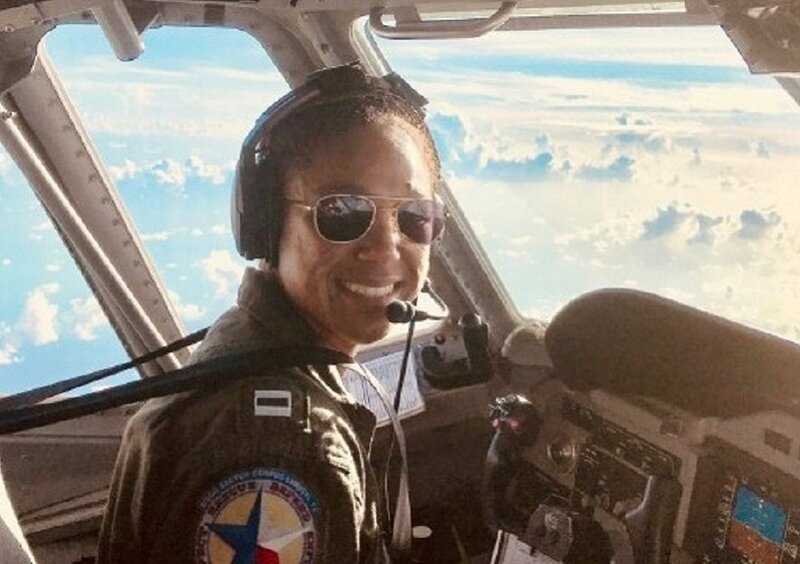 Stationed at Air Station Miami as commander of an HC-144 Ocean Sentry aircraft, she is a 2012 graduate of the Coast Guard Academy and a 2006 graduate of Ivanna Eudora Kean High School in St. Thomas, said The St. Croix Source. When the storm made landfall on August 25, she had already been at work, flying along the beachline south of Galveston down to Brownsville with Cmdr. Steve Pittman, the aircraft commander, and linking up with maritime search-and-rescue, said military.com. Hours after the storm hit, the team would be back in the skies, delivering relief supplies and transporting people and gear amid tropical storm force winds. “Leaving Corpus there was not a single aircraft in the sky,” Russell said in a statement issued by the U.S. Coast Guard. Despite the bad weather and amid stormy conditions, they made a first landing in Houston on a partially flooded runway. Yet, the pilots were aware that they had to complete their mission as no one else was flying in and out of Houston, except the Coast Guard. For the next several days, Russell continued flying supply items and doing damage assessments before helping on the ground as well while serving at the incident command post for the Corpus Christi area. Her family – mother and grandmother – could not evacuate and had to take shelter in their homes. Russell knew she had to do something to help her family and after about three days, she was finally able to reconnect with them and was assured that they were fine. Her excitement upon hearing this information was short-lived, as another storm began – Hurricane Maria – which caused severe damage across Puerto Rico in September 2017. Once more, Russell was back in the air, helping with storm relief and evacuations. While doing these, she arranged for her mother and grandmother to get to Puerto Rico by boat, and fly commercially to Texas. They lived there with her for several months. Her grandmother accompanied her when she transferred to her new duty station in Miami. Russell received her medal from Adm. Charles Ray, vice commandant of the Coast Guard. 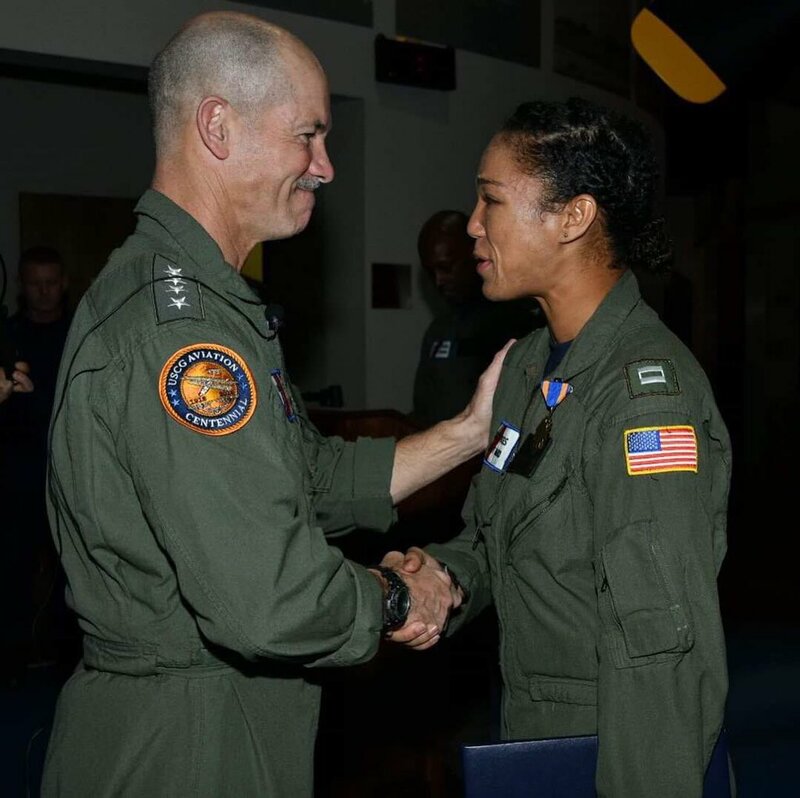 The ceremony also gave her the chance to meet, for the first time, the four other black female pilots in the Coast Guard. Known as the “Fab Five”, Russell said the group has had a huge influence on her life. 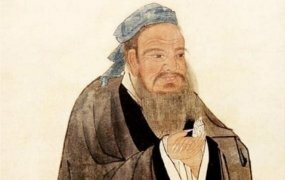 “We have all been the first at something. … And they have all mentored me and helped me get to where I am today,” Russell said. Russell’s family could not attend the Tuskegee ceremony so they came to a separate one in Miami. “It is an honour to be here, to see her get this recognition,” Chinnery, Russell’s mother, said.